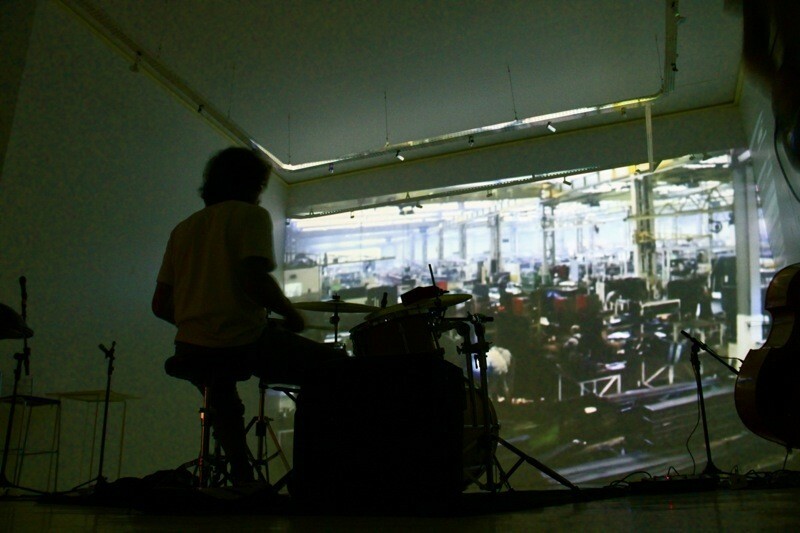 This extract and documentation includes 2 iterations of a film screening with live soundtrack.With musicians Joao Viegas, Andre Viegas, Beto Scopel, Bob Valente and Projetto Ccoma. 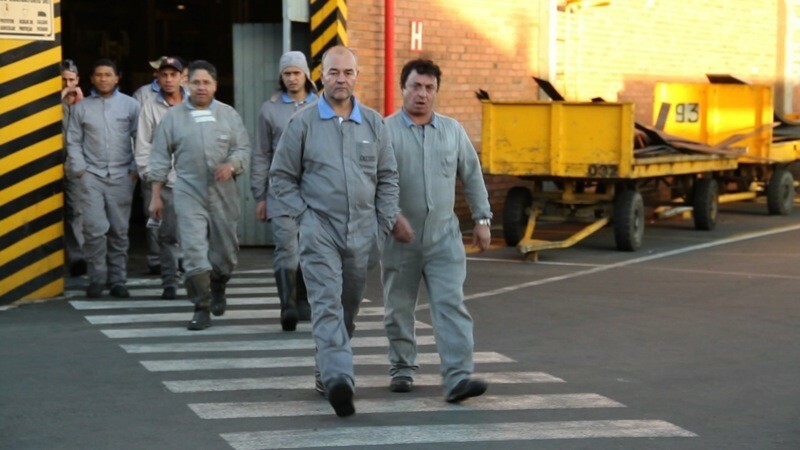 In Caxias do Sul mega‐factories with 4,000 workers in one site have changed and re‐structured the image of work, the worker and lately, that imagined threshold in which a worker leaves the factory, and becomes an individual subject in public space among other workers. 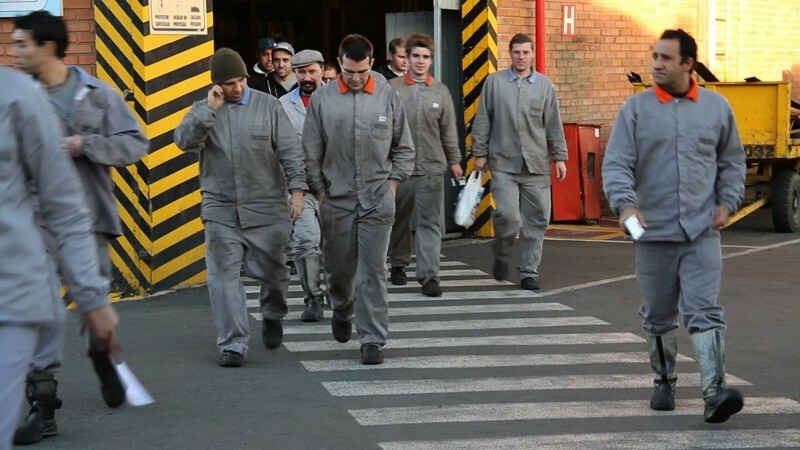 Commissioned by the Bienal do Mercosul in Porto Alegre to develop project in a Caxias, I collaborated with musicians and organized two public events in which musicians with experimental affinities improvised a live soundtrack to images of workers leaving the factory. 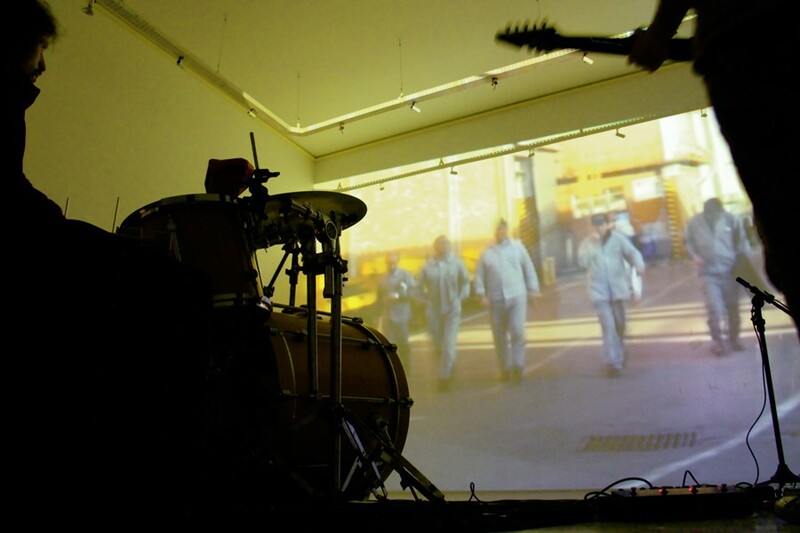 Though the film is 8 minutes, the musicians improvised for hours, the sounds evolved, challenging and transforming a fixed and image of work and its historical and political meanings.